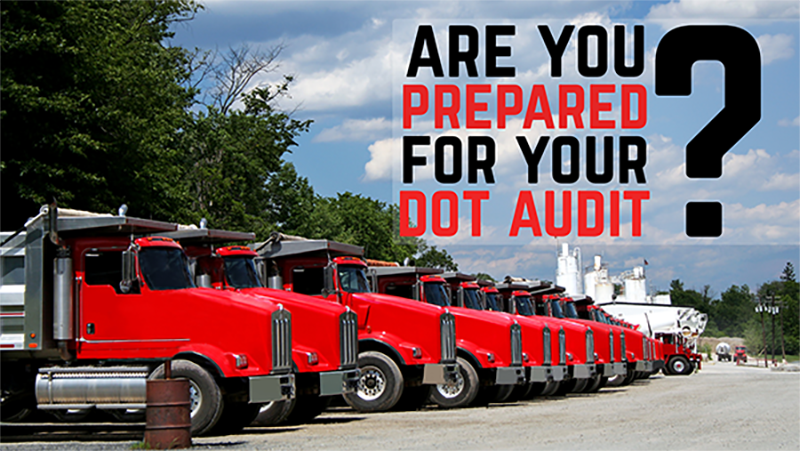 Is Your Air Brake System DOT Compliant? The U.S. Department of Transportation (DOT) holds a high standard for over-the-road vehicles using air brake systems. Heavy-duty vehicles that travel on the roadways, such as semi tractors and trailers and buses, require DOT-approved air brake systems, and each component of air brake systems must comply with DOT standards. Other heavy-duty vehicles, like agricultural and off-road equipment, that use air brakes may not require DOT approval. If a vehicle’s air brake system is found to be not DOT compliant, the driver/owner is typically fined and the vehicle is taken out of service until the problem is corrected. In addition to a fine, you’ll likely have to pay for roadside or towing services to correct the problem, and you’ll be faced with the high cost of equipment and downtime. Money is not the only motivator when it comes to having DOT-compliant air brake systems. Safety is also pivotal, and plays a huge role in the high standards that have been adopted. There are many different styles and types of fittings, tubing, and hose, but only those that meet the strictest of requirements get the DOT stamp of approval. How do you ensure your air brake system is DOT compliant? First, make sure that your system is using the proper fittings, because not all fittings are DOT approved. You are in the clear if your air brake system is using fittings that are properly marked DOT or Air Brake (A.B. 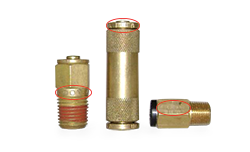 ), which includes both instant connecting and compression style air brake fittings. Air brake systems are typically plumbed with either synthetic tubing (that is clearly marked and identified as air brake tubing) or with copper tubing (although copper tubing on an air brake system is rare). If you’re unsure how to tell that your system is DOT compliant, simply look at the components it’s made of. DOT-approved fittings, tubing, and hose will have the DOT identification right on the part. Non-DOT assemblies can safely be used to reduce cost in other parts of a vehicle. In semi-trucks, for example, several components are powered by air, including the seats, transmission shifters, windshield wipers, and some gauges. When this type of air powered system needs to be repaired or serviced, it is not necessary to use DOT-approved parts. However, it is important to keep the non-DOT air brake parts separate from the DOT-approved parts to prevent an accidental mix up. Stay safe while saving yourself time and money by ensuring your air brake systems are assembled correctly and have the proper DOT-approved components. Looking for more DOT air brake training?